Back to school & back to work! 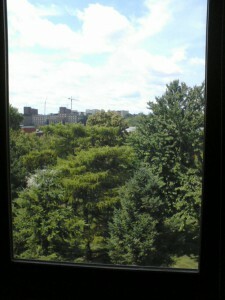 The view from my office window, 101K MacLean Hall at the University of Iowa. A few weeks ago my old doctoral thesis adviser (and now department chair of computer science at the University of Iowa) asked if I would help out and teach a class this semester. How could I refuse? So, today, I will be driving back to Iowa City to teach a section of CS1. I also acquired a new title, “Visiting Assistant Professor,” and, yesterday, got my first email addressed to, “Professor Sidran.” Pretty weird. The downside to all this is that I’ve been neglecting Dinosaur Island because I felt compelled to prepare lectures, tests and assignments two weeks in advance. All of those are now completed and I’ve uploaded hundreds of megabytes of PowerPoint files and PDFs to my ‘school computer’. So, now I’m ready to get back to work on Dinosaur Island. 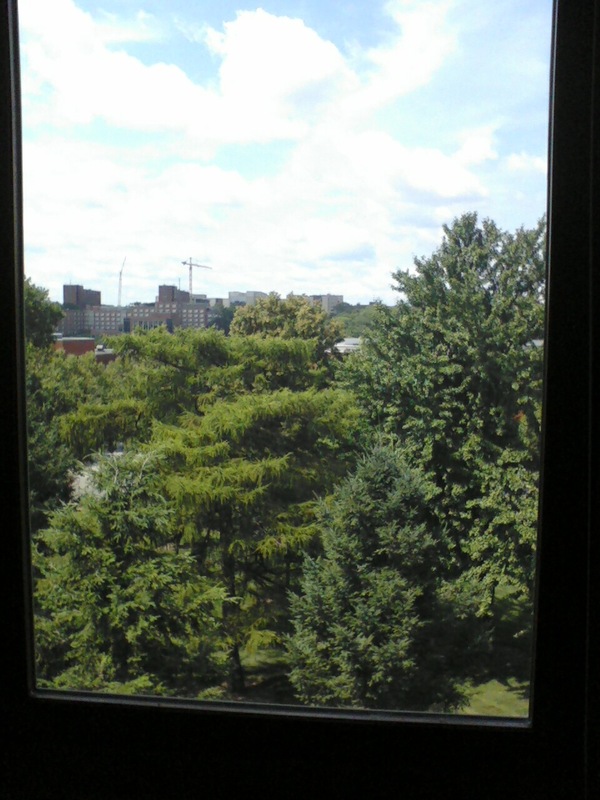 Bonus: I have an office with a window! The computer science department is housed in MacLean Hall, one of the oldest buildings on campus. MacLean Hall used to be the Physics building and the famous Dr. Van Allen (discoverer of the Van Allen radiation belt) worked here.